MAISON KITSUNÉ is a popular brand name with those who have highly sensitive fashion tastes. 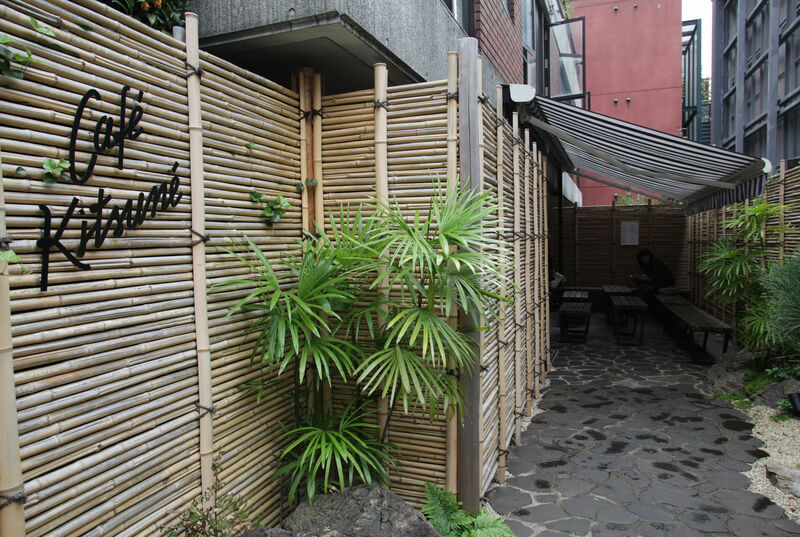 This brand has opened a café which fuses fashion, music and design in Minami Aoyama. The café offers records and CDs from the kitsuné label as well as a variety of fashion items such as caps and sneakers. The interior gives off the vibe of a traditional Japanese tea house. The coffee has a special flavor which you can enjoy in a relaxed atmosphere while forgetting about the hustle and bustle of the big city. The commitment of MAISON KITSUNÉ to providing the finest qualities and tailoring in its clothing is alive and well in this café.